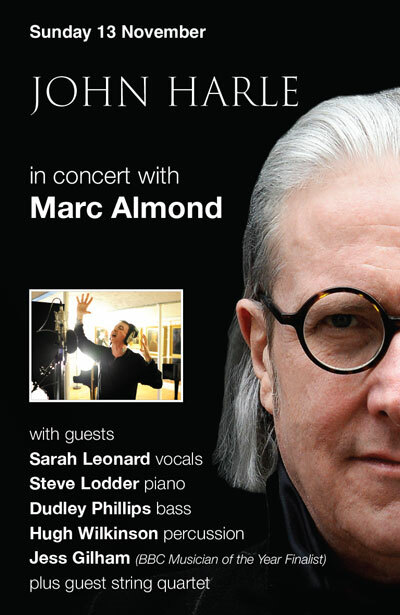 This inspired line up has come together to celebrate the 60th birthday of one of our finest saxophonists and composers, John Harle. John will be joined by the great Marc Almond. John and Marc created their acclaimed album The Tyburn Tree in 2014 and parts of the album will be performed amongst other compositions by John. Joined by the award winning singer Sarah Leonard and some of our finest jazz musicians, this concert is designed to give you a tantalising taste of the 20th birthday of Sounds New in 2017.